If you can catch her between trips to Cambodia, Singapore and India, you will find social media entrepreneur Jill Martin at Brandeis pursuing a degree in Global Studies. She completed her undergraduate degree in International and Global Studies at Brandeis in 2015. Now, she’s back as a Diversity, Excellence and Inclusion Scholar and MA candidate, learning the skills she needs to give her startup social media consulting company worldwide reach. As an undergraduate, Martin interned for Studio Coppre, Fidelity Investments, and Lionbridge Technologies, working in marketing and social media. Upon graduating, one of her managers at Lionbridge recommended that she explore the world and freelance for a while, so Martin moved to New Delhi, India, and decided that she wanted to become an entrepreneur in a rapidly growing international market for social media consultation. 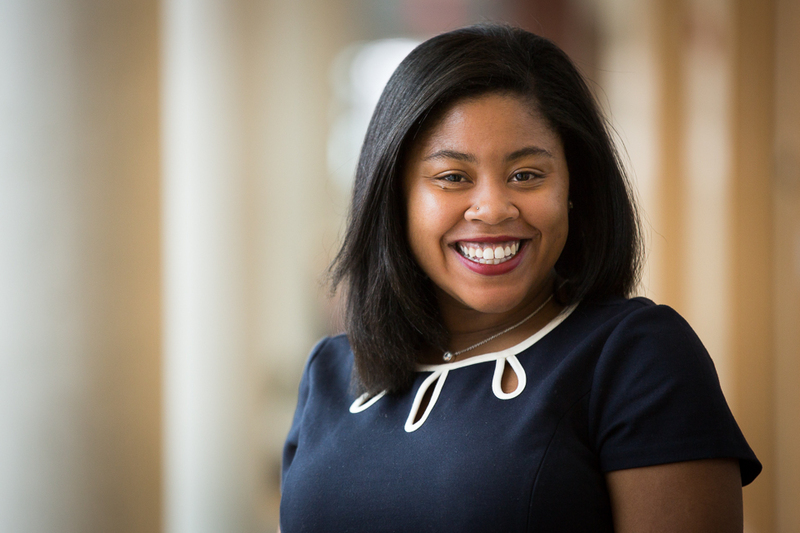 Martin has found a welcoming and supportive group in her fellow DEIS Scholars, who she says give her an extra boost of confidence and a strong sense of community on campus. “Scholarships like the DEIS program work not only to provide the support students need to achieve their full potential, but also to encourage scholars to pave the way for non-traditional and unique career paths,” says Martin.